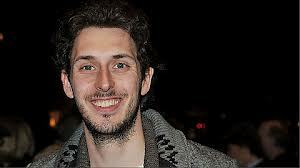 Inbetweeners actor Blake Harrison is to star in new six-part ITV comedy-drama Edge Of Heaven from Hartswood Films. The series written by Robert Evans (Stella, Sadie J), based on an idea he created with Paul McKenzie, follows the organised chaos of the Taylor-Chatterjee family at Margate’s finest (and indeed only) 1980s inspired B&B. Blake Harrison stars as Alfie, a man with his life and future in Margate all planned out ahead of him, until his fiancée Carly (Justine Michelle Cain – WPC56, Some Girls) leaves him at the altar. Marcia Warren (Vicious, Jam and Jerusalem) plays Nanny Mo, Alfie’s smart as a tack grandmother who lives with Adrian Scarborough (Miranda, Gavin and Stacey) and Robert Evans (Stella) playing Alfie’s uncles. The series is produced by Elaine Cameron (Sherlock, Jekyll) and Paul McKenzie (Sadie J, Dani’s House). Beryl Vertue (Sherlock, Men Behaving Badly) is Executive Producer. ‘Edge Of Heaven’ begins filming in August.